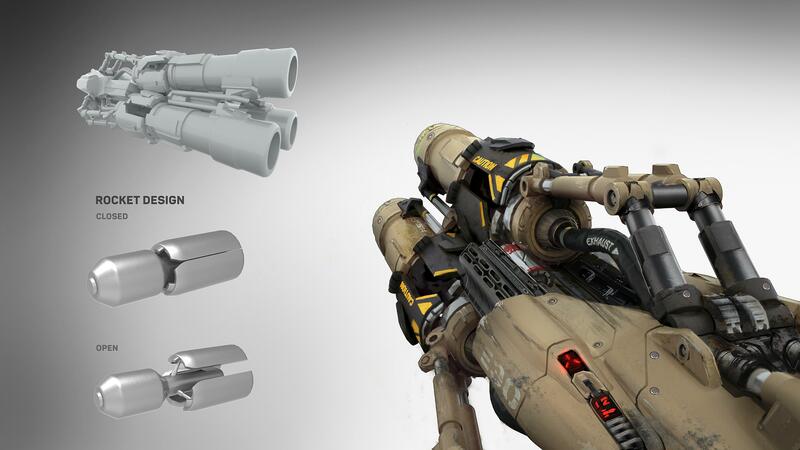 As shown on the UT project stream this week, Gooba has been working on a new concept for the rocket launcher. There have been a number of attempts at it in the forums, but none of them quite got “there” in my opinion. With Gooba’s latest attempt, he has put quite a bit of effort into making a plausible design with great animation potential. Folks, this is the “one”!